Does GE Predix have the potential to become the engine behind most successful industrial products of the next 10-20 years? Absolutely! Because with Predix we can. Founders of this group believe that Predix will help conceive, deliver and scale some of the most important industrial advances of the next 10-20 years. So.... why don't we standardize and democratize the field with and around Predix, and help change the world!? We are a local micro community of those interested in advancing their knowledge of Predix, its use cases and applications. We will learn how others solve some of the hard problems that exist in the world of machines around us, and how others make predictive APIs and applications using Predix. Join the movement. Let’s change the world. Because with Predix we can. DISCLAIMER: this Meetup group is not affiliated with GE. 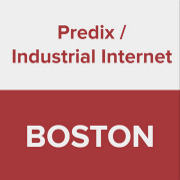 This Meetup group does not own the GE Predix trademark; this Meetup has no affiliation, connection or association with such third party; Such third party has not approved nor sponsored this Meetup group's use of the trademark in any way.